Avacta Group Plc (LON:AVCT) Chief Executive Officer Alastair Smith caught up with DirectorsTalk for an exclusive interview to discuss the development partnership and license agreement with LG Chem, in-house drug development and the collaborations with Moderna & Tufts. 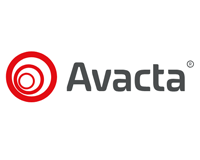 Q1: The deal with LG Chem is clearly significant for Avacta Group, could you go through the details for us? A1: Yes, of course, and you’re right, it is very significant for us. LG Chem are a fully integrated pharmaceutical company although they may not be well-known in the west, as I say they are a well established pharmaceutical company with a number of products, biologicals and small molecules on the market. So, they represent a very capable partner for us. The deal we’ve done with them is around four targets, primarily, which are in the oncology and the inflammatory disease space. The deal structure is $2.5 million upfront, $5.5 million in near term milestone, near term in that case is 12-18 months, that sort of timescale then there’s around $300 million of potential clinical milestones with royalties on future sales. LG also cover all of our research costs associated with the collaboration. So, it is a very good deal for a company at our stage, a pre-clinical stage with a pre-clinical platform and looks as good as, in fact probably better than most of the comparators at this stage. Q2: Your collaboration with Moderna has also borne fruit, could they get an Affimer drug into the clinic ahead of Avacta? A2: Yes, that’s interesting. Certainly, it has borne fruit, to put it in simple terms, we have done our part as it were and delivered Affirmers that are of interest to them and meet the spec. They have committed now to take in a commercial license to develop some Affirmers against a particular undisclosed drug target. So, first of all, I think that is yet another very strong validation of the Affirmer platform, the Affirmer technology in that it clearly works and meets the spec of a very experienced, knowledgeable partner. In terms of getting into the clinic more quickly, it’s a good question. They have the benefit of working with messenger RNA so they don’t have to produce recombinant protein which is quite a lengthy involved step in protein drug development. So, yes, in principal, they could get into the clinic a little bit more quickly than us although having said that, we’re within touching distance, we’ll be in the clinic at the back end of next year. So, it’s not that long until we get the platform into the clinic ourselves. Q3: How are your in-house drug development programmes progressing towards the main objective of getting the Affimer platform into the clinic? A3: Very well. As I mentioned, we are aiming for dosing first patient at the back end of next year, the next step for us is to commit to that manufacturing that I was just speaking about in regards Moderna. So, in order for us to have clinical-grade material for some of the regulatory studies that we have to do and ultimately for dosing patients, we have to outsource that to a CRO. That is a planned but significant cost and so clearly, we are being careful before we push that button. We said that we would do that in the first half of this year and we certainly will do that so we’re about to push the button on the CRO manufacturing of clinical-grade material which ultimately leads to an IND filing late next year and dosing first patient, again, late next year. Q4: Avacta Group’s collaboration with Tufts seems to be front and centre in your strategy, could you expand on that opportunity for us? A4: When we signed that partnership, that collaboration last July/August, I think I did say that I felt that was transformative and the reason for that is combined with our Affirmer platform, it allows us to address one of the key challenges in cancer immunotherapies which is to address those tumour types that don’t already have an immune response. That’s the vast majority so it’s a very important challenge for the whole field. What we have with our collaboration with Tufts is access to a range of novel chemistries, both chemotherapies and linker chemistries for us to build some very novel what our called ‘drug conjugates’ that deliver both the Affirmer immune checkpoint blockade and the chemotherapy in one molecule into the tumour mass. It is the release of that chemotherapy in the tumour, specifically within the tumour which improves the safety profile, that causes the immune system to be recruited to the tumour and the Affirmer is waiting there as it were to assist the immune when it arrives. So, it’s a synergistic combination within a single molecule of chemotherapy and immune checkpoint blockade which is very novel and, as I said at the time, potentially transformative.